The Gabriel Cappuccino 5pc Counter Height Dining Set features a built in 24" frosted glass lazy susan, storage base and wine bottle and stemware rack. 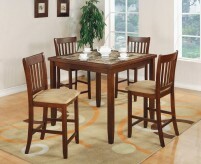 The chair seat is covered in a tan microfiber, wheat back style back rest and is constructed of tropical hardwoods. 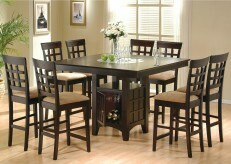 Priced with 4 chairs, not as pictured. 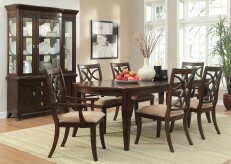 Also available in medium chestnut finish. 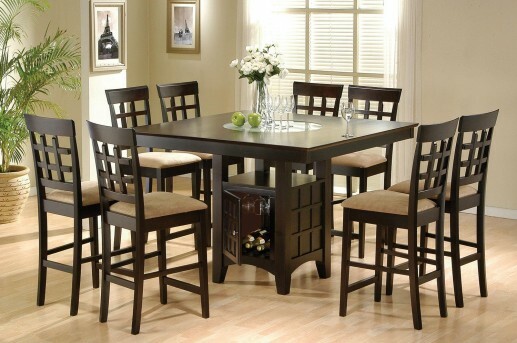 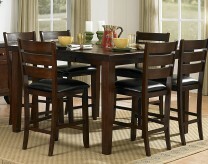 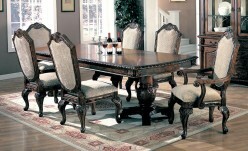 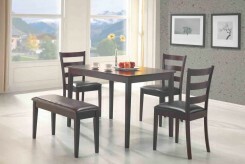 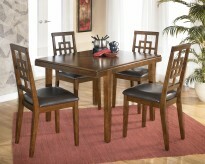 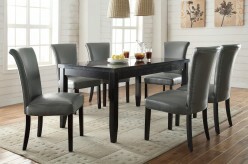 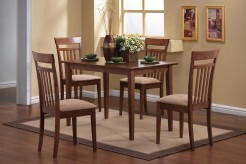 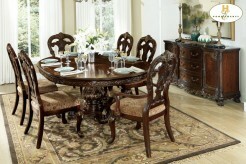 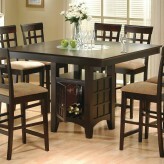 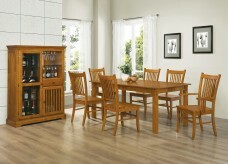 Furniture Nation is proud to offer the Gabriel Cappuccino 5pc Counter Height Dining Set online. 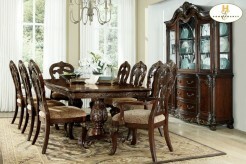 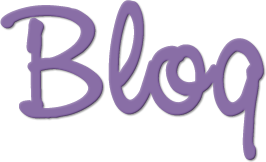 We serve customers across the DFW region including Irving, Grapevine, Keller and many more. 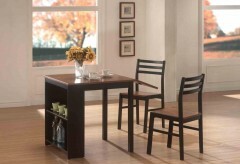 Gabriel Cappuccino Counter Height Dining Table : L51.5" x D51.5" x H36"
Gabriel Cappuccino Counter Height Chair : L17" x D20" x H41"